Here’s a new cocktail for y’all. 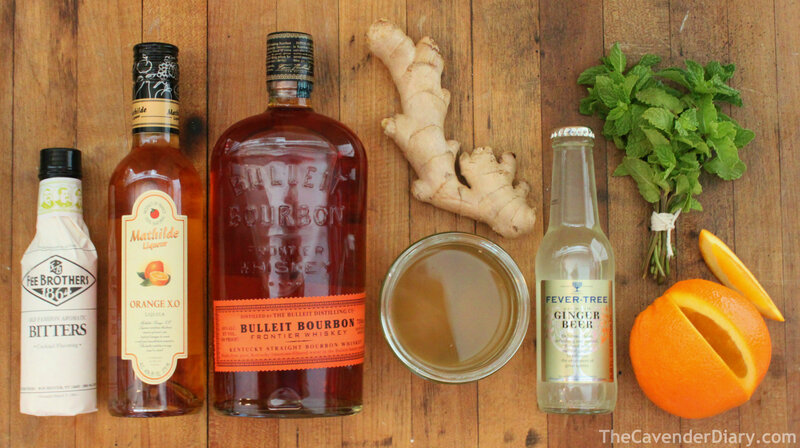 Bourbon and ginger beer are a refreshing mix. Spicy and warm. Yet somehow crisp. Start with the bourbon. Pour 2 to 3 ounces over a few ice cubes in a shaker. 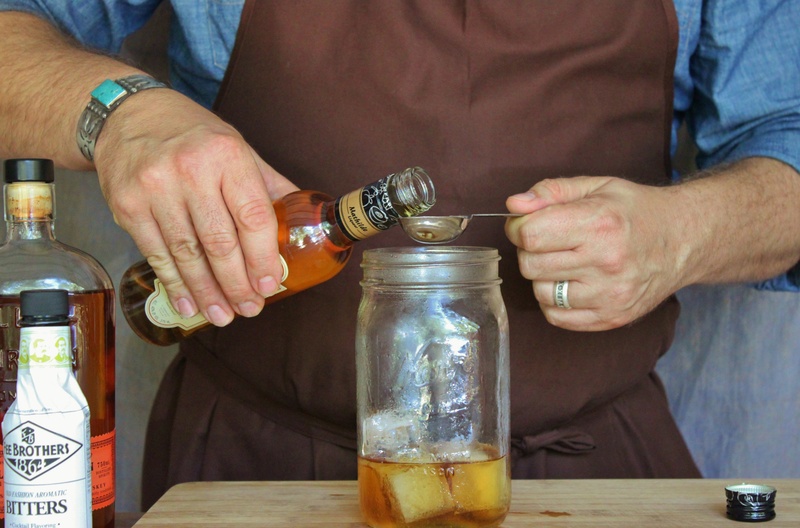 We just use a Mason jar. Then an ounce of orange liquor. Like tripe sec or Grand Marnier. 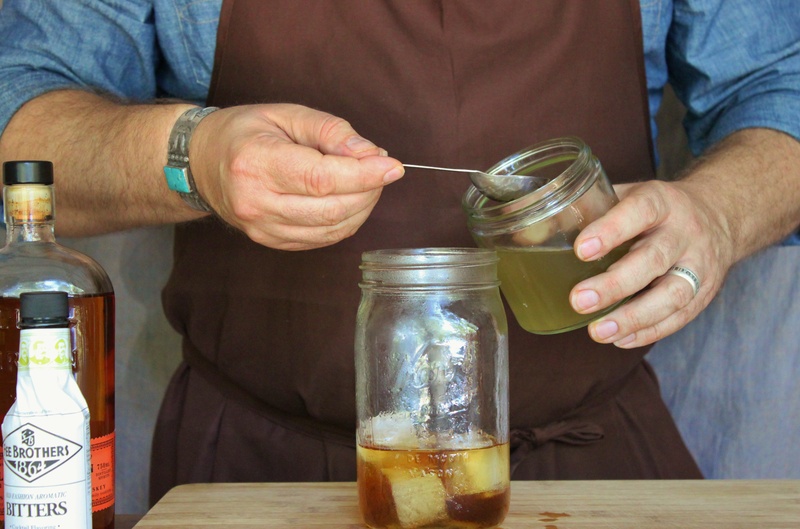 Ever made a simple syrup? 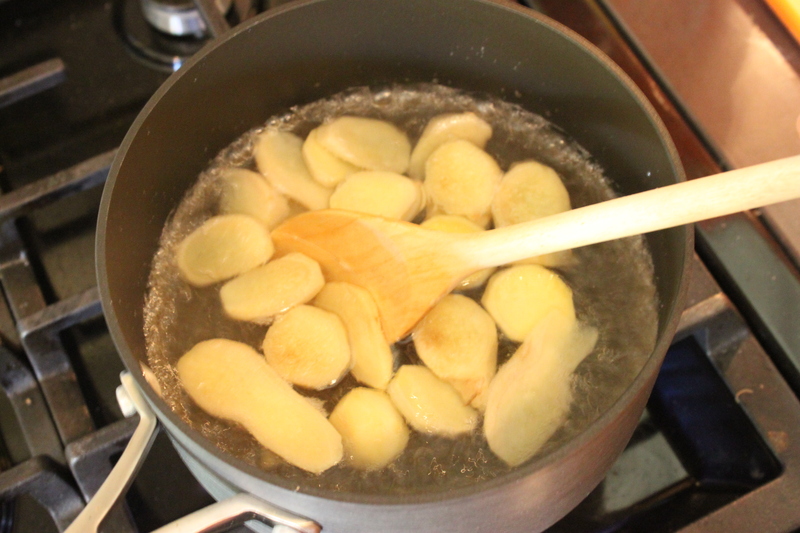 Boil together 2 cups of sugar and 2 cups of water, (For ginger flavor I add about 1/4 cup of chopped ginger root). Stir constantly until it’s reduced by about half. Remove the ginger and let the syrup cool. Add 1 tablespoon of ginger syrup to the shaker. Bitters may sound a little unusual. By that, I mean you probably don’t have any on your bar-cart right now. But you should. Bitters adds a certain…. (clears throat) bitterness to drinks. 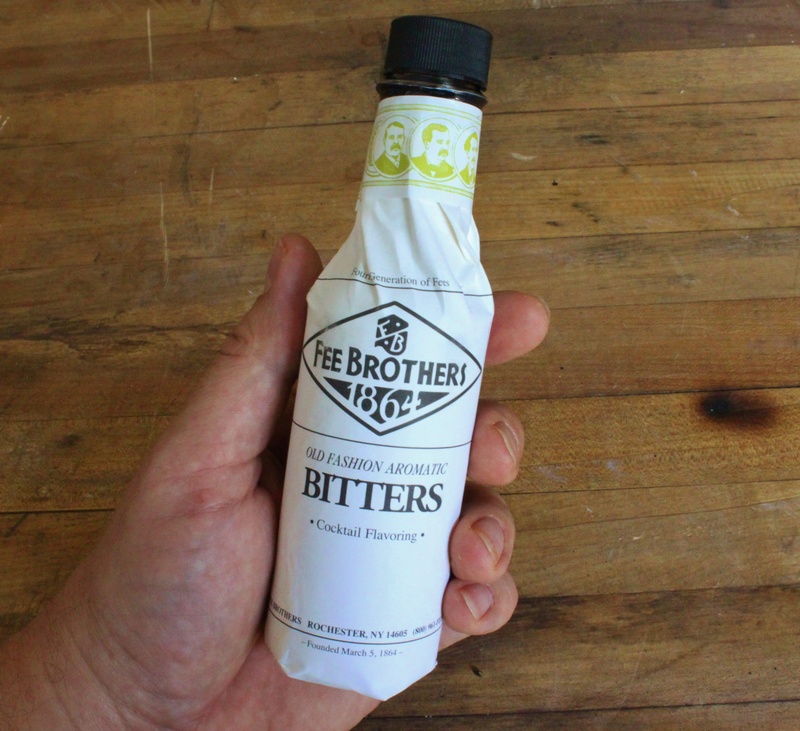 At the turn of the century bitters were a pretty common ingredient in most cocktails and actually thought to cure many stomach-related ailments. I found some at our local liquor store. I really wasn’t expecting to. So it should be pretty easy for y’all to find too. Add a quarter teaspoon of bitters to the mix. Give it all a good shake. 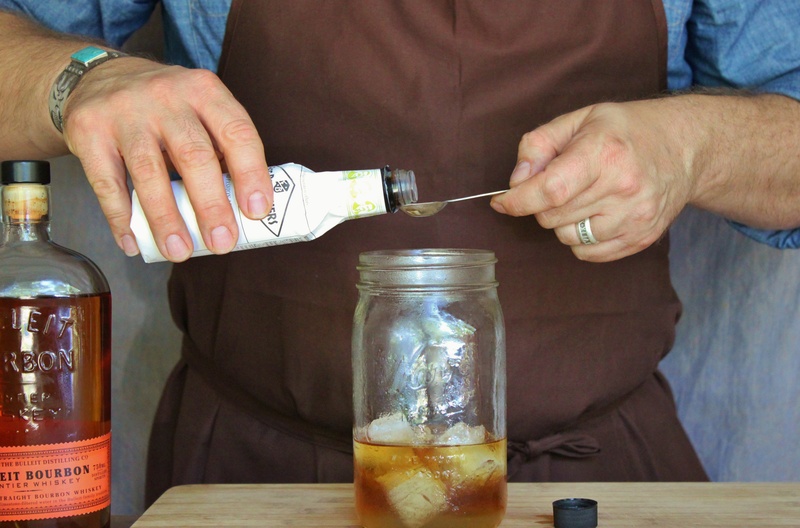 Pour over an ice filled glass. 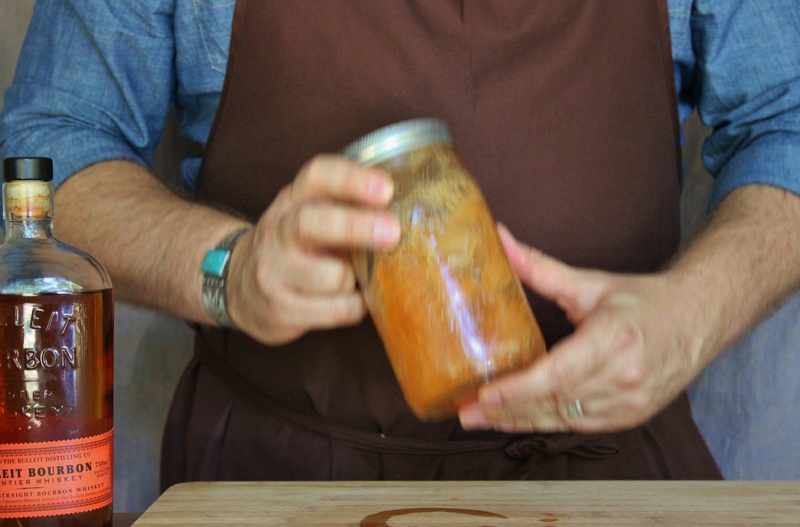 Also a Mason jar…….you may notice. Top off with chilled ginger beer. Ginger beer isn’t a beer at all. It isn’t even alcoholic. It’s really a sweet, ginger-flavored fizzy water. We got ours at Sur La Table, but I see it’s also available at World Market. Don’t forget to garnish with a sprig of mint and an orange slice. 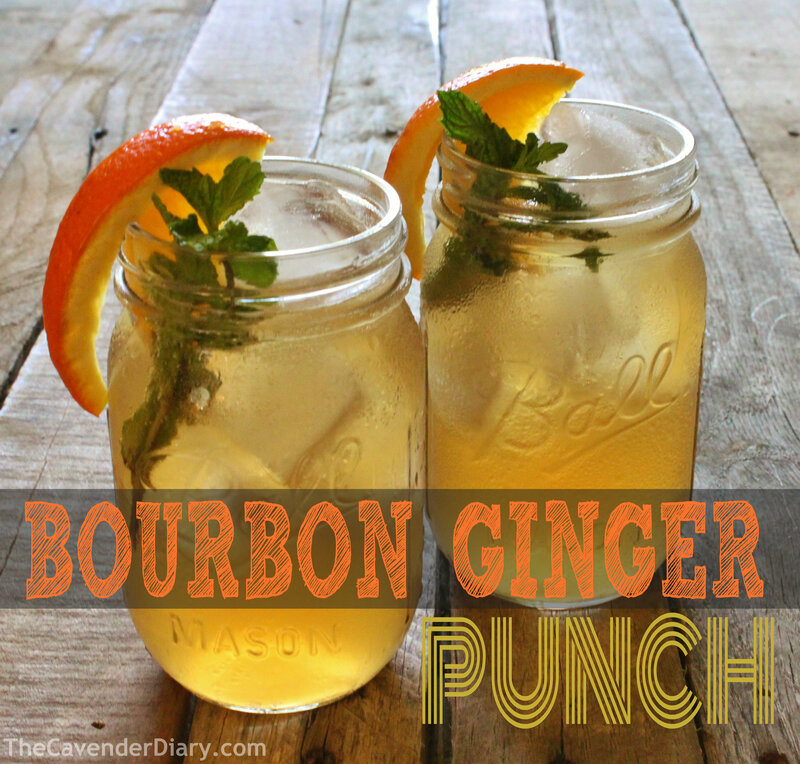 It packs a punch, like most bourbon drinks do. So be sure to enjoy it slowly. Yummm! I had a drink similar to this recently but it had lemon kick instead of orange. Ginger beer is so delicious! Lemon and ginger sounds like a wining combo too!!!!! I have a great shaker shaped like a penguin, but he seems so “stuffy” with a drink served in a jar. 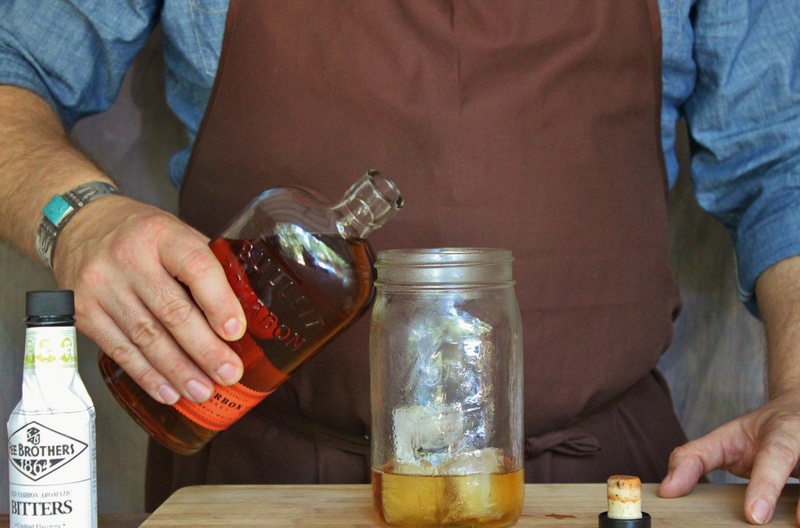 The Ball canning jar is a natural complement to a bourbon cocktail. 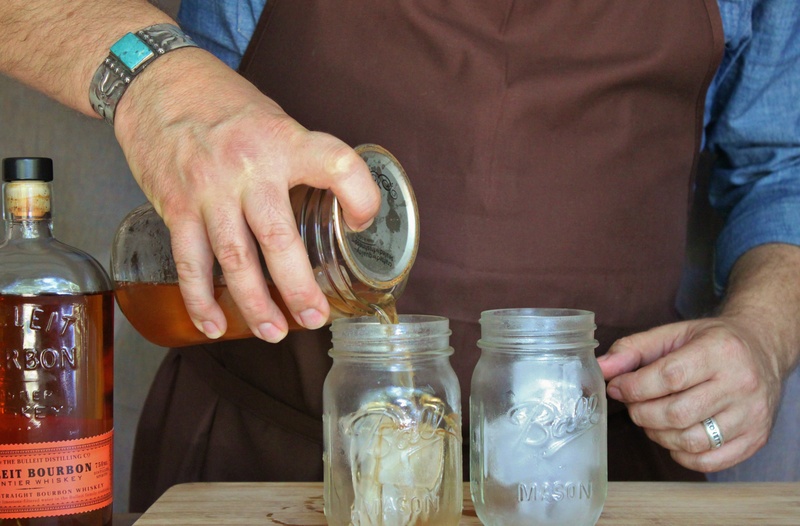 Hey James – Sorry to be a pain… how much of the liquid mixed in the mason jar do you use for each drink? Donna, that’s a pretty good question. The recipe I listed is for one cocktail….but in the pictures I was doubling all the ingredients so could get 2 glasses in the final picture, (and then there woulod be 1 for each of us) Depends on how stiff you want yours.